Social media for e-commerce is always tricky because trends and active practice are ever changing in a span of time. What’s important is that every business owner is ready to always look for improvements and capitalise it in his or her store’s social media marketing. As the Christmas season is fast approaching, marketing needs to be tilted to the holiday feels. 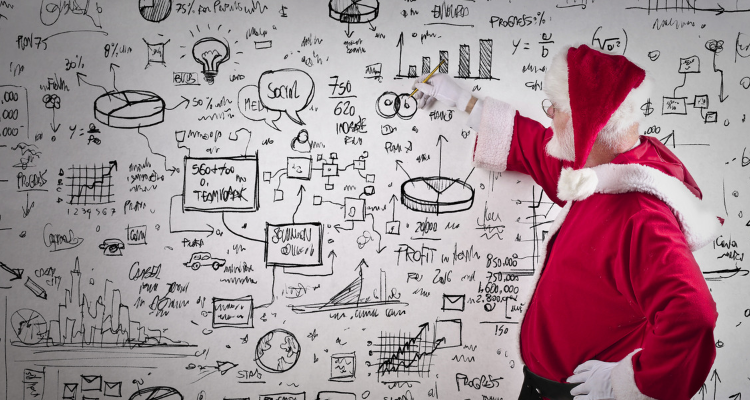 In this article, we will give you practices on how you can release an effective marketing strategy in the holiday season. You should start making the hype of the holiday season as early as possible. Start by engaging your customers through different promotional materials. All of these should be based on a strategy and social media plan you made for the holiday season. Plan everything out so everything would be seamless and the Christmas season would not hassle your social media marketing. Most customers also look at different products that are going to be a sale for the holiday season. You can seize this opportunity by including a sneak peek of your products, exciting it up until its release on the holidays. You can also give out discounts and deals for eager customers, even conducting a raffle from it. What’s important is that you are starting planning as early as possible. It is expected of you that your business has at least one social media platform. For the holiday season, you should start maximising it and make it active as much as possible. You can also make a blog for different contents relevant to the holiday season and tailored to the interest of your audience. The primary purpose of this is to lure back your visitors to your site. Another thing is you can also make a giveaway for coupons and discount codes for a contest in your social media account. There are many things to do with your social media platforms. If you’re having a hard time being creative with it, you can look at your competitors’ pages and study their posts. To maintain being active online, you should not only publish posts about your products. One way you can utilize your Social Media is by creating topics and posting relevant images that may interest your target market. What would your audience want to see, especially in the season of holidays just around the corner? You can opt to make blog posts about how they can decorate their household with your items, efficient ways they can lessen their hassle in preparing for the holidays or just creating motivational quotes to help inspire them through the season. Also, it’s important always to know the right sizes image when posting so it won’t compromise the quality of the picture, You can use this social media cheat sheet to help you in posting images on social media. You do not have to be limited with only the items in the business itself. This way, you can maintain the interaction with them and attract more people who might be interested in your content. Try it, and you will see for yourself! When you plan of how you can campaign your business before the holiday season starts, it can make you in the best position there is in your industry. This can help your audience know you more and increase the awareness of your business. Online presence is always vital, as discussed in the previous points, and starting this trend can make a big difference to your performance in the industry. You can do this by knowing your audience. What content did the audience interact most? What are they looking forward to doing in the holiday season? All this can help you keep up with the trends that your audience relate to. By doing this, you are not only boosting your brand awareness but also maintaining your online presence in the industry. If done effectively, you will be able to extend your interaction with your customers online. There is a multitude of social media platforms you can utilise when you need to increase your brand awareness. Nowadays, social media platforms are not only used as a means to connect with people but also as a way to gain brand awareness from customers around. One example of this platform is Facebook. It now has a marketplace online where you can search for items that you may need, and being active there can make your presence a lot more meaningful. Additionally, Facebook is the biggest social media platform right now. It also has a feature for publishing ads to other people’s timelines. You can only use your page to post this, and your ad will be seen throughout the site. Not just that, but you can also determine the demographic you need to target for your brand. Most e-commerce businesses are expecting a high volume of sales in the upcoming holiday season. It is essential to monitor and take a closer look at your business’ inventory and fulfillment plans and practices. Always be on top of your inventory. Make an updated list of the stocks for a clear vision on your product availability. Maintain also a strong order fulfillment because it can affect your whole image as a brand. Keep your products delivered on time and as described. Lastly, you should start looking at dropshipping. Dropshipping is a way where the outcome will be delivered straight to the buyer from the manufacturer. It is an efficient way to increase your product fulfillment rate. Make your customers feel valued and essential to the business by not giving automated messages for the holidays. Instead, providing a personalised message for them will do the work. Since social media is a platform for building relationships, it is better to make a personal greeting to your audience. It has a high chance that it can give increased sales for your business. There are many ways you can execute this. You may send a direct message on Twitter and Instagram is saying hello, hosting a Google Hangout, creating a group on Facebook, or even sending emails to them just greeting a Merry Christmas. What’s important is you messaged or connected with them personally, it can reinforce your customer’s loyalty and retention to the brand.